May 2018 – GCubed, Inc.
1. Great bosses are passionate. Few things are more demotivating than a boss who is bored with his or her life and job. If the boss doesn’t care, why should anybody else? Unforgettable bosses are passionate about what they do. They believe in what they’re trying to accomplish, and they have fun doing it. This makes everyone else want to join the ride. 2. They stand in front of the bus. Some bosses will throw their people under the bus without a second thought; great bosses pull their people from the bus’s path before they’re in danger. They coach, and they move obstacles out of the way, even if their people put those obstacles there in the first place. Sometimes, they clean up messes their people never even knew they made. And, if they can’t stop the bus, they’ll jump out in front of it and take the hit themselves. 3. They play chess not checkers. Think about the difference. In checkers, all the pieces are basically the same. That’s a poor model for leadership because nobody wants to feel like a faceless cog in the proverbial wheel. In chess, on the other hand, each piece has a unique role, unique abilities, and unique limitations. Unforgettable bosses are like great chess masters. They recognize what’s unique about each member of their team. They know their strengths, weaknesses, likes, and dislikes, and they use these insights to draw the very best from each individual. 4. They are who they are, all the time. They don’t lie to cover up their mistakes, and they don’t make false promises. Their people don’t have to exert energy trying to figure out their motives or predicting what they’re going to do next. Equally as important, they don’t hide things they have the freedom to disclose. Instead of hoarding information and being secretive to boost their own power, they share information and knowledge generously. 5. They are a port in a storm. They don’t get rattled, even when everything is going haywire. Under immense pressure, they act like Eugene Kranz, flight director for the Apollo 13 mission. In the moments after the explosion, when death looked certain and panic seemed like the only option, Kranz kept his cool, saying, “Okay, now, let’s everybody keep cool. Let’s solve the problem, but let’s not make it any worse by guessing.” In those initial moments, he had no idea how they were going to get the astronauts home, but, as he later explained, “you do not pass uncertainty down to your team members.” People who’ve worked for an unforgettable boss often look back later and marvel at their coolness under pressure. That’s why, 45 years after Apollo 13, people are still talking about Eugene Kranz and his leadership during that crisis. 6. They are human. And they aren’t afraid to show it. They’re personable and easy to relate to. They’re warm. They realize that people have emotions, and they aren’t afraid to express their own. They relate to their people as a person first and a boss second. On the other hand, they know how to keep their emotions in check when the situation calls for it. 7. They are humble. Since these bosses don’t believe they are above anyone or anything, they openly address their mistakes so that everyone can learn from them. Their modesty sets a tone of humility and strength that everyone else follows. For many unforgettable bosses at Google and elsewhere, things clicked once they stopped thinking about what their people could do for them and started thinking about what they could do to help their people succeed. Inspire. Teach. Protect. Remove obstacles. Be human. If you cultivate these characteristics, you’ll become the unforgettable boss that your people will remember for the rest of their careers. GCubed is proud to employ veterans and support the transition to civilian employment through training and education opportunities. 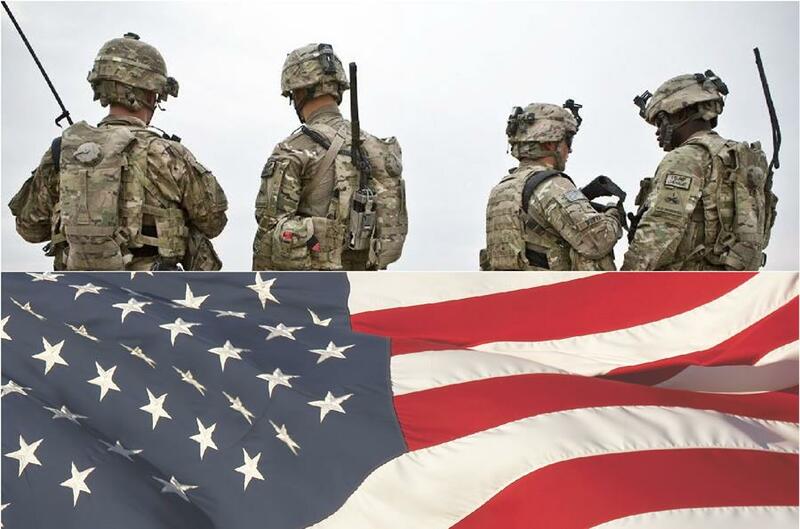 Veterans account for 20% of our workforce, and we look forward to increasing that number. Our Founder & CEO, a retired Chief Warrant Officer, was profiled by UMUC for Military Appreciation Month. Read the write up here and watch Mr. Green’s Facebook interview here. 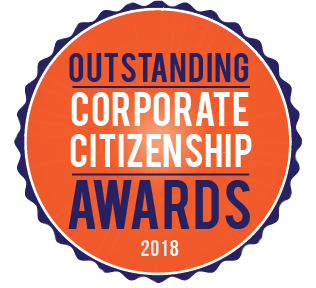 The Northern Virginia Chamber of Commerce announced the nominees for the 2018 Outstanding Corporate Citizenship Awards, and we made the list! The awards honor extraordinary business leadership and above-and-beyond corporate social responsibility. Learn more here. Kaniz Hussian was recognized by CAA leadership for a job well done on migrating customer databases to a new database server with no impacts to their users. Keep up the great work, Kaniz! 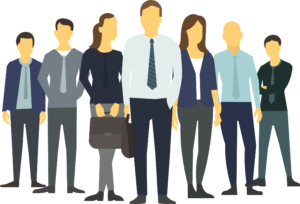 New Hires – Welcome to the team! 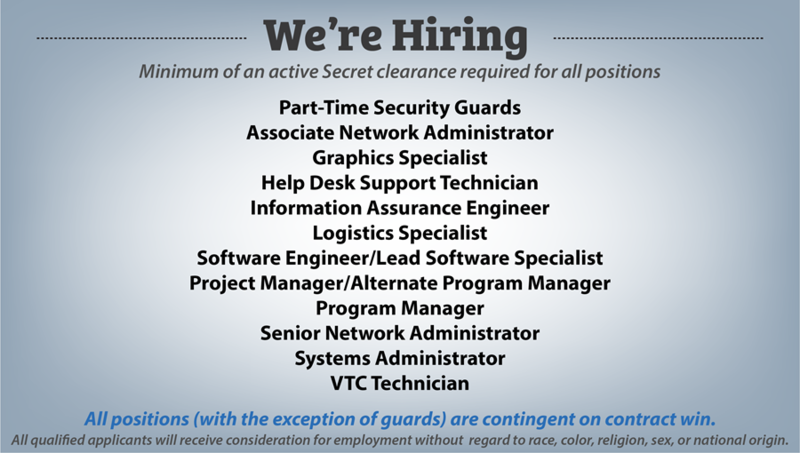 Apply today – gcubedinc.com/careers or contact Nicole Albertson for more information. 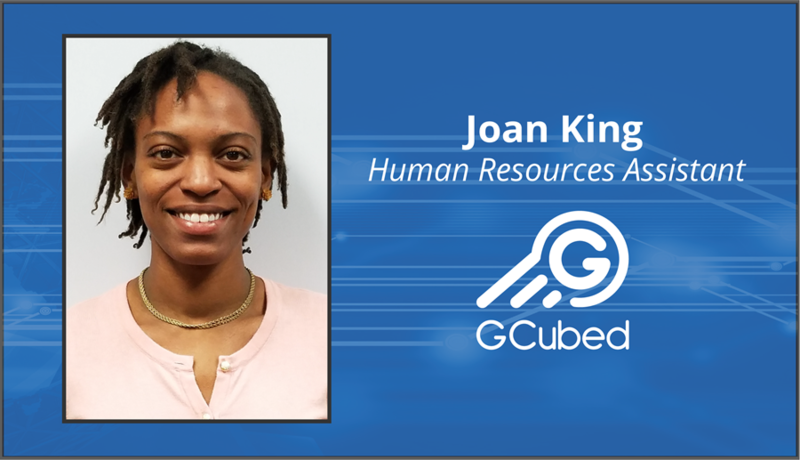 Our Human Resources Assistant, Joan King, is known as GCubed’s “Swiss Army Knife”; she does a little bit of everything in the corporate office. Assisting HR and finance with their daily tasks, all while taking on the role of receptionist, has quickly made Joan a vital member of our team. On her days off, Joan enjoys taking her two dogs to the trails and going on long hikes with her friends. Reading and collecting globes are a couple of her hobbies. She loves all things organic and natural; if there is a natural alternative to chemicals or man-made products, she will find it or make it herself. Joan even makes her own natural skin care products. Joan is enjoying every moment on the job. Each day brings new knowledge and opportunities to strengthen her skill set, allowing her to shape her career as she wraps up her Associate’s degree. She is eager to be part of GCubed’s continued growth. The EYM program touches on personal responsibility, education, dream building, and the importance of foundational core values. We meet every third Sunday of the month at the Stafford County Sheriff’s Office from 4-6pm. Come out and enjoy a day of family, fun, and community bonding. Support the EYM Car Wash fundraising events! Follow G³Community Services on Facebook for news and updates on future events!